Written by Felipe Azenha & filed in Development Pipeline, Mixed-Use, Transit, Urbanism. 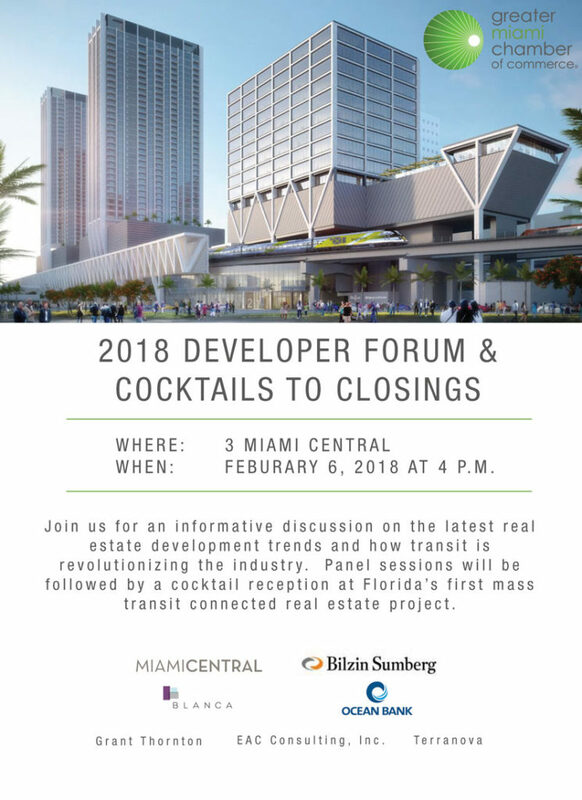 Join the Greater Miami Chamber of Commerce for an informative discussion on the latest real estate development trends and how transit is revolutionizing the industry. 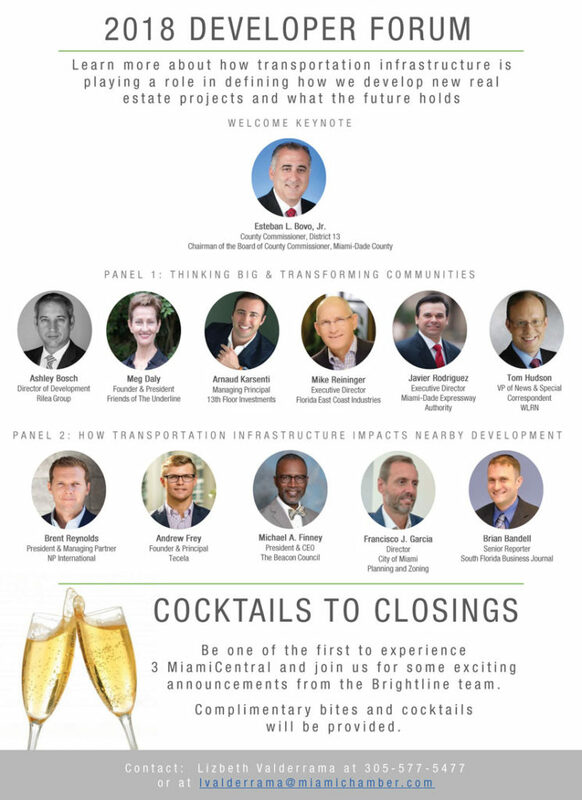 Panel sessions will be followed by a cocktail reception at Florida’s first mass transit connected real estate project.